The path to victory is paved with the hordes of the walking dead. 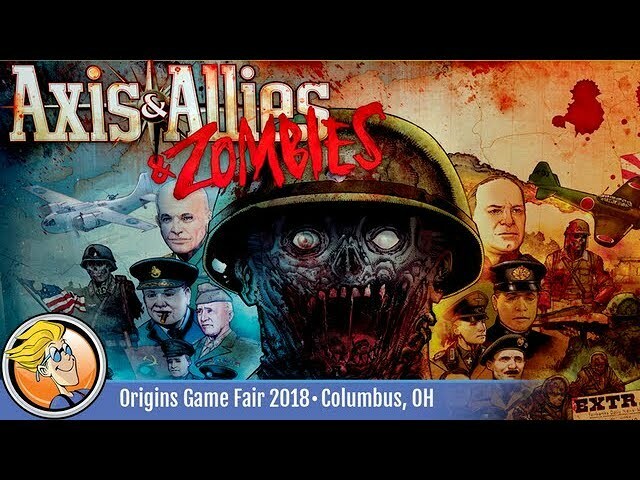 Axis & Allies & Zombies is a horrific new take on the iconic World War II strategy board game. Take command of one of the major powers of World War 2 and be forced to contend with the rising wave of undead. Chainsaw tanks, zombie mind control rays, and transports laden with the rotting dead that can be deployed against your enemies - Axis & Allies & Zombies adds new strategy and tactics alike. Along with the third faction, the game also comes with a 2 player mode and streamlined rules, and 215 miniatures of fleets of tanks, transports, bombers, and, yes, zombies. Buy Axis & Allies & Zombies for a new take on a classic strategy game, that also comes with a upgrade deck that can augment any copy of Axis & Allies with the undead horde.